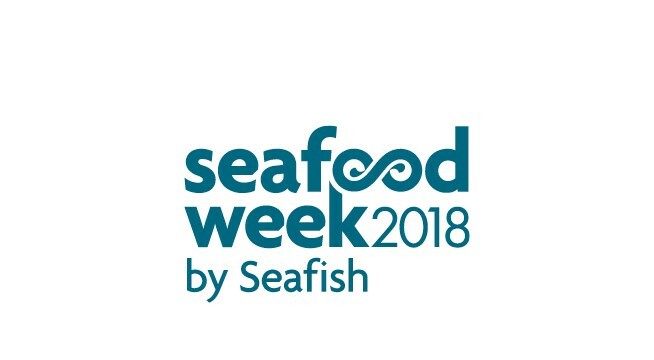 To help celebrate and promote more seafood on menus, we've partnered up with Seafish to back Seafood Week with some great products and menu inspirations from our Development Chef, Jason Calcutt. It runs from 5th to 12th October so get your skates on and join the effort in getting more of your customers tucking into the good stuff. Don't forget to check out our Seafood Week deals in October Splash. Lightly score and char the pickled Mackerel skin with a blowtorch, then serve with a tomato and watermelon salad finished with micro herbs and saffron mayonnaise. Marinade Crabs in tandori spices, lime juice, grated ginger and garlic. Coat in gluten free flour, deep fry until crispy and serve with tomato and pomegranate kachumber. Drizzle with yogurt and tamarind dressing, and finish with coriander, fresh chillies and lime. Steam Mussels with some shallots and white wine, finish with cheddar cheese, diced sweet potato, grilled corn and coriander. Top with a piece of roasted smoked Cod loin. Spice up your batter with fennel, cumin and mustard seeds. Batter your fish, then season with salt and lemon. Prepare some shoestring fries and season with Bombay masala. Serve all together with a raita made from crushed peas, yoghurt and mint. Rinse Scallops to remove any grit. Season with fennel seeds and salt, and drizzle with tomato dressing and lime juice. Then grill on a tray for 2 minutes and finish with micro fennel. Quarter some heritage tomatoes, season and mix with chopped fresh herbs, olive oil and balsamic vinegar. Grill your shellfish and arrange on a plate. Dress with the tomato and herb salad, and finish with apple blossom and Syrha leaves. Score the skin on the Plaice, rub with butter, season and then grill. Wash Clams well, then steam open with a shellfish bisque. Serve with seared lemon. Lightly crush fennel seeds and pepper corns to season your Tuna, then sear and cook fish to your liking. Serve with a salad of tomatoes, strawberries, fennel, lettuce and herbs. Finish with a dressing made of fruit vinegar and olive oil.